Work underway on an escalator at the Medical Center station along Metro's Red Line in Bethesda on Sept. 18, 2017. Photo by Katherine Frey with The Washington Post. The best way to move people on escalators is when they stand still, a Mississippi State expert says. It’s that time of the year when tourists flock to the nation’s capital so that Washingtonians can inform them — courteously, kindly, patiently, forbearingly — to “Stand right, walk left” on Metro escalators. So with spring and cherry blossoms in the air, perhaps it’s time to renew the perennial question about whether that etiquette actually makes sense. Lesley Strawderman, a professor of industrial and systems engineering at Mississippi State University, says it does not. In an article that appeared this month in Quartz, she says people who walk on escalators slow things down. Strawderman — whose other writings investigated topics such as “Utilization of behavioral studies in developing the intermodal simulator for the analysis of pedestrian traffic” — says that in general, we’d be better off if people rode two at a time and just stood still. That’s exactly the problem we run into this time of the year. 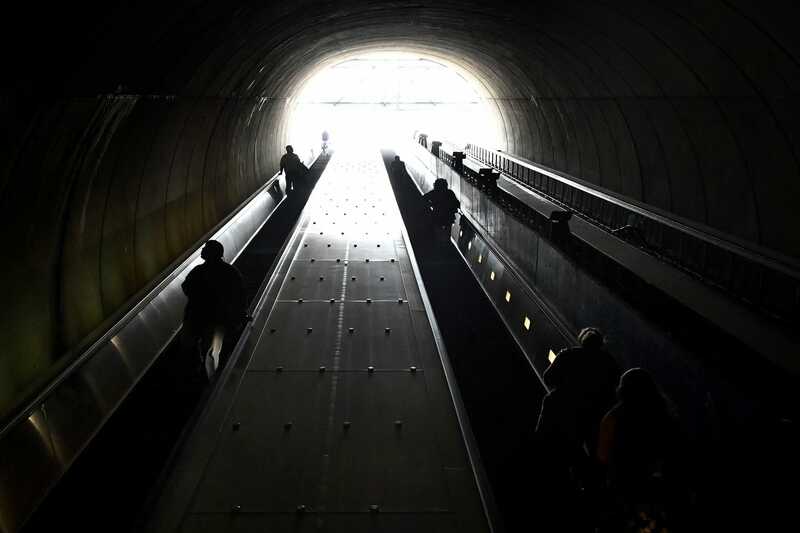 The Washington Metropolitan Transit Authority (WMATA) has more escalators than any other transit system in North America: 618, to be exact. So it stands to reason Metro may also have more people gumming up the works on escalators than any other transit system in North America. The Guardian calls them “escalumps.” Harried Metro riders have no doubt called them worse. When Greater Greater Washington sponsored a contest on how to improve Metro a few years ago, some requested signs to remind Metro riders to stand right and walk left on the escalators, the website reported. One person even proposed using colorful footprints on the escalator steps, with one pair of feet walking on the left and another standing to the right — a fun, hokey-pokey-like diagram that, alas, wouldn’t work in Washington because the direction of some escalators is often reversed. But Strawderman challenges the notion that we go farther and faster by jumping into the escalator’s left lane. She argues that the stand-only principle is better and holds true whenever the system is near peak capacity, regardless of the length of the escalator. She also acknowledges that it’s counterintuitive, not to mention downright annoying for Type A personalities. For starters, Strawderman says only about one in four people is “impatient” enough (her word) to hustle up and down an escalator. That raises the question of whether it’s sensible to set a policy for a minority of lane-passers when most people are content to let the escalator do the walking. What’s more, an experiment on London’s Underground in 2015 demonstrated that escalators move people more efficiently when everybody goes up two by two and side by side. Capacity increased about 27 percent, Strawderman says. But many Tube veterans were so used to passing on the left that the transit agency used plainclothes employees to block the walkers and make the stand-only experiment work. Tokyo launched a similar stand-only campaign in December in the name of safety, but there’s been pushback there, too, CityLab reported. Strawderman said her stand-only proposal has received mixed reactions, too. And it turns out that although Washington’s Metro officially adheres to pass-left, stand-right etiquette, there’s ambivalence. From the website: “Stand to the right facing forward. Walk on the left.” But Metro officials at times have played down the official line or flatly contradicted it. Paul J. Wiedefeld, Metro’s general manager, caused a stir a couple year ago when he suggested that people should stand so as to minimize wear and tear on the machines. “These are very sensitive pieces of equipment,” NBC4 quoted him as saying. Metro officials also say slips, trips and falls are common injuries on escalators as a result of people jostling each other when walking. But Metro officials also get it. Thanks to the riders themselves, the “stand right” etiquette is pretty well established in D.C. — to the extent that reminders and other signage are unnecessary, a spokesman said. Sounds like that’s our job.